Natural HDPE Heavyweight Handled Round Jugs have a 190 gram weight and are ideal for high speed filling. Finger grips enable easy handling. Heavyweight 135 ounce HDPE jugs available without caps. 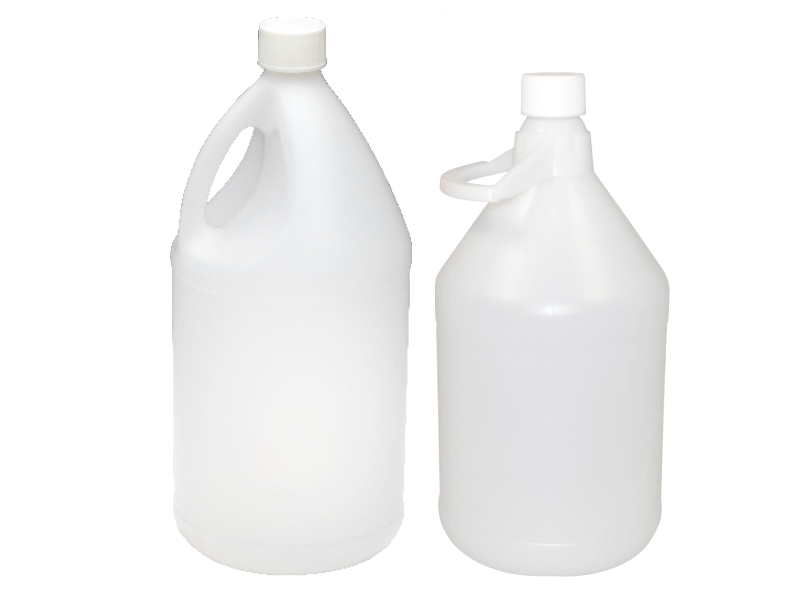 One gallon HDPE jugs available with acid caps — acid resistant polypropylene caps with F422 liners.